In the political theories of the “classical” social contract philosophers, the social contract marks a pivotal moment of transformation for mankind. Rather than simply working out a justification for government, social contract theory provides an explanation for the coming into being of mankind. In other words, while the establishing within reason of a government appears as the purported objective content of the classic texts of the period, namely between Hobbes, Locke, and Rousseau, that is not the end of the story. How are we to understand political power aright?”, or how to justify government, secrets beneath it another question: “How are we to understand the coming into society of mankind as a becoming herself?” This paper will mark Hobbes’ ontological becoming in the Leviathan and carry through the un-thought ontology to its conclusions. I will specifically note the extent to which ‘nature’ and ‘artifice’ form crucial moments of being, and furthermore what makes possible their movements: an order of transcendental simulacra. 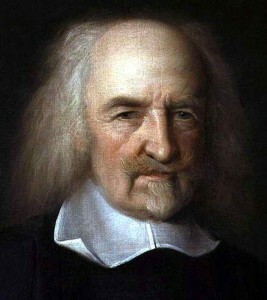 Additionally, I will analyze the being of the sovereign, terror, and freedom as they form critical moments in the becoming of mankind in Hobbes’ text. Autor: Christopher D. B. Johnson. This entry was posted in Ethical on 29/01/2019 by Mary.